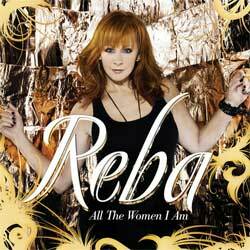 Multimedia superstar and 2010 CMA Female Vocalist of the Year nominee Reba will release her 34th studio album, All the Women I Am, on Tuesday, November 9th, which will be accompanied by a Limited Deluxe Edition. This edition will have exclusive content such as behind-the-scenes footage of the making of the “Turn On the Radio” video and performances of several hit songs including her much buzzed-about performance of “If I Were a Boy” from CMT Unplugged. The Limited Deluxe version will also include a dance remix of “I Want a Cowboy” and an interview with Reba. This is her second album for The Valory Music Co., the sister label to Big Machine Records.